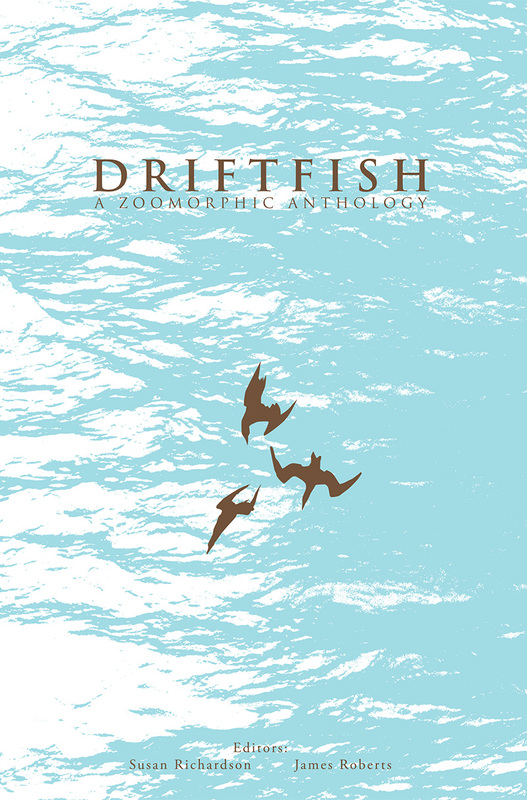 I was thrilled to find out a couple of months ago that two of my poems were selected for inclusion in Driftfish. This is a Zoomorphic anthology of poetry, prose and pictures about marine life – to celebrate it in all its fantastical forms and to commiserate it in its dwindling numbers. Hundreds of submissions were received from around the world and I was lucky enough to be one of its international contributors, thanks to poetry editor Susan Richardson. The launch was yesterday at ONCA in Brighton, UK as part of its current exhibition Do you speak seagull? and I was one of four to Skype in to read. This was a first for me and unfortunately, no doubt due to our temperamental connection, I wasn’t able to hear them and had to go by visual prompts to begin reading! The main thing however, was that they could hear me perfectly, and I was shown around the room to claps and waves afterwards thanks to Ellie, ONCA’s tech guru. A copy of the anthology is swimming its way to me as we speak, so if you’re interested in the stunning life the oceans hold, grab a copy and dive in!